My book The Abel Approach (2nd ed.) 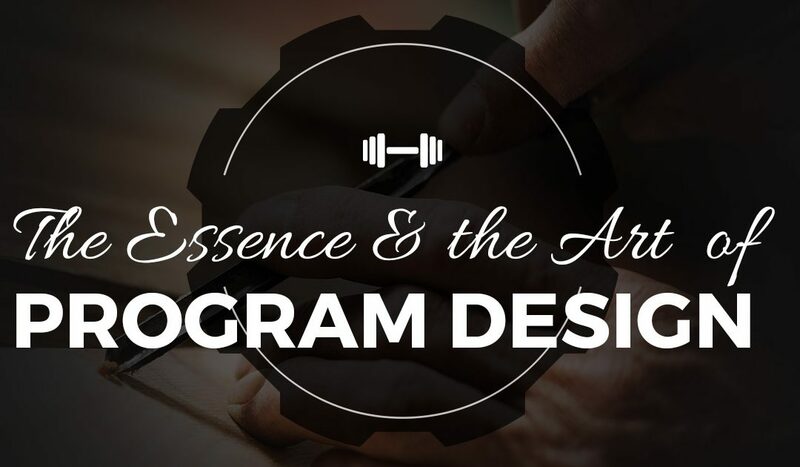 is all about the essence of program design, and what goes into my own specific methodology; I argue that coaches must design workout programs to fit the client, and expecting the client to fit the programs is backwards thinking. But lately I shake my head in disgust over what passes for “program design” in this industry. It’s really becoming quite ridiculous. It seems like whatever vogue trend comes down the pipe in this industry. Wannabe “experts” have a “let’s just throw it in” mentality to workout application. There seems to be this trend where newly certified “personal trainers” (read: “I took a weekend course”) are throwing around terms like “scientific,” yet their protocol shows a violation of basic principles of exercise physiology. You can find those in my Abel Approach book as well. 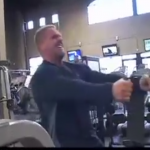 We see this nonsense of ridiculously complicated exercises that accomplish nothing being thrown into a training protocol because some idiot saw it on Youtube, and it makes you stand out in the gym. That is hardly “scientific” nor does it automatically adhere to “principles.” It gets monotonous to witness this idiocy over and over again. “New and improved” is NEVER going to be superior to “tried and proven” when it comes to exercises, workouts, and especially as it applies to program design! We shouldn’t be trying to reinvent the wheel here, folks! Oh and all this fancy “tempo” of reps execution and rest between sets—it is just more useless “mumbo jumbo” passing for “scientific” when it actually just plain ridiculous. There is this modern day insinuation by neophytes and wannabe’s that a sophisticated program must also be complicated. This tempo nonsense falls into this category. Any expert in any industry can tell you simplicity is the thing to master – and that the truth is simple, and simplicity is the truth. 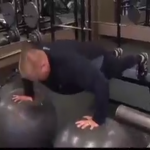 I watch these personal trainers fall all over themselves overcomplicating things that are actually super simple to begin with. You can write the alphabet in fancy calligraphy, but it’s still just the alphabet. You either know it, or you don’t! Real program design requires real expertise and a DEEP, DEEP, DEEP understanding of the foundation and the principles involved. I’ve always said that real program design is a lot like being a songwriter and writing music. Any good song writer begins with either a chorus or a title and works back and forth between them. The chorus of any song is the foundation of that song; it will be what “resonates” with the listener. Well, any 3,4,5,6 Days program must also have a theme – it must also have a “chorus” if you will, one that will resonate with the trainee. Furthermore, a great song will also have a song title that reflects that chorus and the theme of the song. The greatest songs are not “complicated” even if they are “sophisticated.” That is what resonates with the listeners. Take two recent popular songs. We’ll take “Happy” by Pharrell Williams, as well as “Stay with Me” by Sam Smith. What these songs have in common is a chorus (a foundation that makes sense) and lyrics that are simple, but not complicated. They also have a title that reflects the theme of the song. What we see here is sophistication, but NOT complication. So here we have two massive hits, with two very different themes, vibes, and tones, but with very common and simple foundations in the creative side of the art of song-writing! Well the same has to be true in program designs for fitness and specific goals. What is reflected in the name of the program should reflect its overall theme. For instance, people see programs by me called 5-Days MET, Whole Body Hypertrophy, Ultimate Figure, 6 Day MET/Hybrid – these are titles that reflect the theme and foundation of the actual program. Conversely, I remember a popular program and book coming out a few years back called “Huge in a Hurry” which made me shake my head in disgust. It has nothing to do with the art of program design. It’s just a book written by a guy who has NEVER BEEN HUGE, let alone ever DONE IT IN A HURRY! When I see titles like that, I ignore them, and you should too. When I designed the strategies in the Cycle Diet I adhered to the same design principles – a title that reflects the overall chorus and theme of the actual agenda: to eat in specific “cycles” to optimize metabolism and live in the “real world” of tasty foods. And then this notion that ‘complication-equals-sophistication’ nonsense comes into play as well. As we see in song-writing, the less complicated a lyric and beat, the more likely it will resonate. Well the same is true with proper program design as well. It shouldn’t require a degree in anatomy to unravel it, and follow it! Finally there is this nonsense of the “throw it in” mentality these days. Something becomes vogue and wannabe trainers want to “throw it in” to their trainee’s workouts, without any consideration of whether it even fits with the overall theme and intention of the workout or the program. It’s really quite ridiculous. In our song-writing examples above for instance – imagine if the song-writer tried to “blend” the theme and vibe of the song “Happy” with the more sullen tone of the song “Stay with Me” -> The result would be a complete mess! Why? Because it would violate the principles involved with chorus, them, title, and tone. No program can do “everything.” And it shouldn’t try to. And real program design goes way beyond a mastery of a library of exercises to “throw into a workout.” There are principles involved here, just like with song-writing. And that is where the creative process begins! Program design is an art, like song-writing. And I am an artist. Too bad consumers and trainees don’t know the difference. But that’s okay. There’s always “Huge in a Hurry” for them! 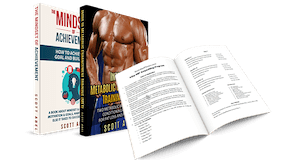 scott did you ever read the book that contained this program huge in a hurry ?